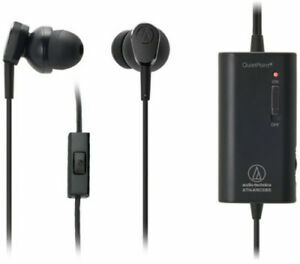 Audio-Technica ATH-ANC33iS are Headband headphones that deliver great listening experience. The frequency range covered by the model is 20 Hz - 20 kHz. With 32 ohms impedance level and 105 dB sensitivity, this pair of black headphones produces authentic sound. In addition, the wired model weighs 0.9 oz.